Embody mindfulness. Teach hearts and minds. Transform education. Peace in Schools offers in-depth, experiential mindfulness courses designed for teachers, school counselors, parents, clinicians, and other youth-serving professionals. Take your mindfulness practice to the next level, connect with a community of like-minded individuals, and learn powerful mindfulness tools to bring into your work with youth. The experiential structure of this in-depth, eight-week course allows you to deeply integrate the tools you learn in class into your daily life and work. Using a trauma-informed lens, this course deepens and expands the material covered in our Mindfulness for Youth-Serving Professionals weekend. You’ll learn the neuroscience behind mindfulness, explore the individual and collective conditioning that can get in our way, and unpack the ways that stress manifests in us and our students. This course is full! We’ll offer it again in the fall. Sign up for our newsletter to receive updates. This retreat is a revitalizing, immersive, deep-dive into mindfulness, spanning four full days. 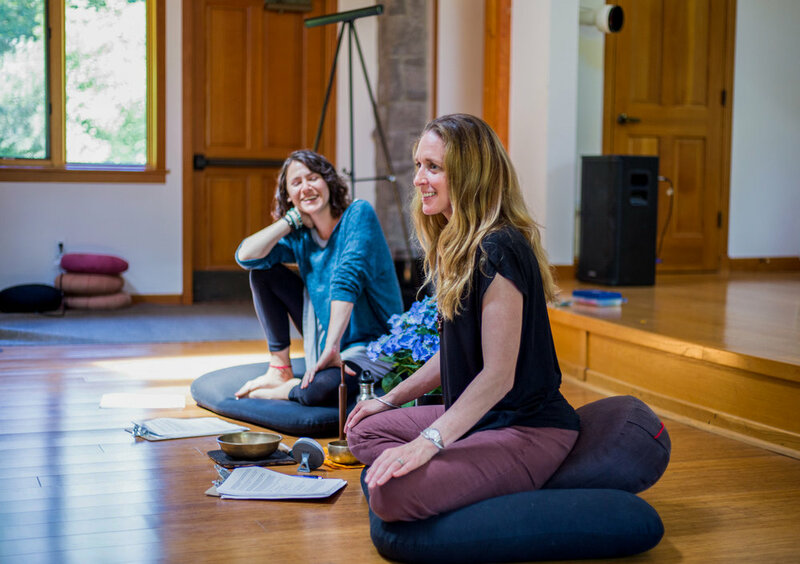 Deepen your mindfulness practice, learn mindful teaching skills, and connect with a passionate community of other youth-serving professionals. Ground yourself in a practice that fosters self-awareness, compassion, and connection, while gaining tools to transform your relationship with youth. Whether you're new to mindfulness or a longtime practitioner, you’ll leave this retreat nourished and refreshed, with valuable new skills. In this in-depth online course you’ll learn the science and practice of mindfulness, as well as the basics of Interpersonal Neurobiology. You'll be introduced to foundational mindfulness practices and experience directly how they can transform your life. This course is beneficial for anyone who works with children and teens, including educators, parents, counselors, mental health professionals and health care workers. Erika is a middle school counselor who has taken all three of our mindfulness-based professional development trainings. In this moving interview, she speaks about the importance of having her own mindfulness practice, how it supports her in the challenges she faces, and how it helps her show up more fully for the students she works with.